The IRDC hosted ICSCC meet, July 2018. 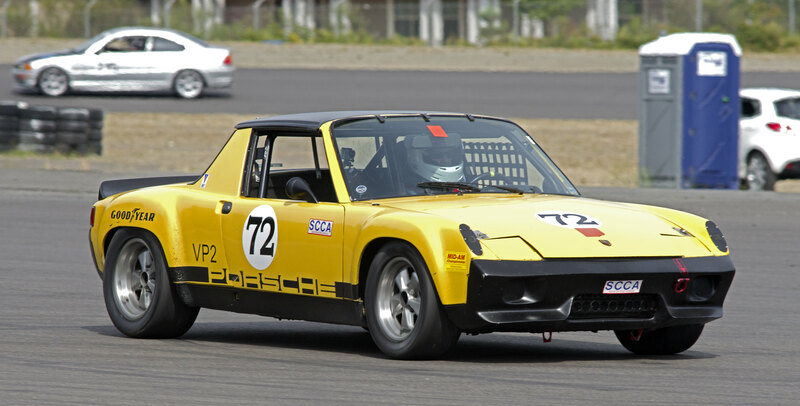 A novice hustles his Porsche 914 Six, between turn 8 and turn 9 at the Pacific Raceways road course. This guy is a second generation Conference racer, his parents were among the group that founded the ICSCC in the 1950's. Very nice capture! brings back a lot of memories, use to have a 1972 914/4 it was a short time (mostly restoring - repairing it) but I enjoyed a lot. There are lots of road courses in the Southeast. The larger oval tracks have road courses integrated into the oval, on the infield, and some extend outside of the oval. Charlotte and Daytona both have road courses. There is also Road Atlanta, Northeast of Atlanta. A world class road course. Alabama has Talladega, which also has a road course (although I doubt it sees much use), and there is Barber Motorsports Park just outside of Birmingham. There are more, I'm just drawing a blank right now. Also, woot classic Z! I miss my 70 mk4 mg midget from that era --that being the period when one of my friends had a 240z of equally ill function and repute..
We didn't race though. Just carved up old mountain back roads without death involved. I do my crazy driving in gt6 with a t-500 simwheel these days. Cheaper on tires.